Preparing for trekking in Tibet is an important process. We tried to cover all the basics in this article. However, if you have any questions, leave us a comment or contact us! Many of the visitors want to know how we find the trekking routes. The truth is, Tibetans used all these routes for centuries. Before the roads were built connecting different cities and regions, people were traveling on foot, sometimes with horses or with pack animals. These pathways were going through valleys and mountain ranges. Nowadays, many nomads still use these paths when migrating during the year. We follow these routes, trekking between destination points. The other type of trekking paths is pilgrimage routes. 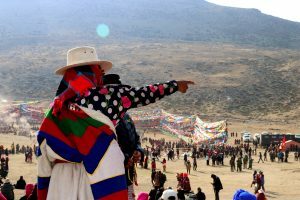 Tibetans walk around the sacred objects in a clockwise direction. 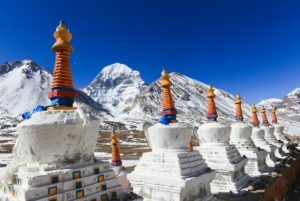 Some of the most popular pilgrimage treks, called Kora in Tibetan are Mount Kailash Kora, Lake Manasarovar Kora, Namtso lake Kora. The most popular trekking around Mount Kailash attracts many pilgrims every year. One of the best time to visit Mount Kailash is during the annual celebration of Saga Dawa Festival. 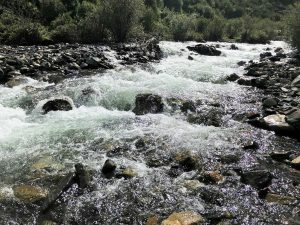 Generally, from May to June and from mid-September to October are the best months for trekking. 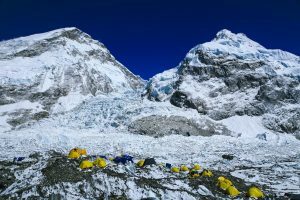 During that time, the temperatures are not too low, especially if you are trekking at the high altitude, and the level of precipitation is low. Spring and fall are the best months for photographers, as it almost never rains. Summer is the warmest season, but at the same time, it sees the most rains. It can be a good time for trekking with a family. In winter you can go on shorter treks, such as one-day treks near Lhasa or Samye monastery. 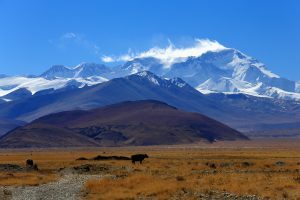 One of the major concerns, when you prepare for trekking in Tibet, is the high altitude of the plateau. 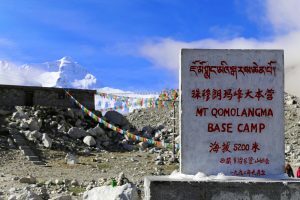 Many of the treks go through mountain passes over 5,000 meters high. And here is the truth about the high altitude, there is no way to predict how you will feel at the high altitude. 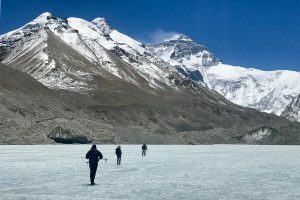 It is not uncommon for professional athletes and physically active people to experience effects of altitude sickness, while less physically active tourists feel perfectly fine, and vise versa. There is also no proven way to acclimatize before heading to the high altitude areas. But, please, don’t worry about it. First, we designed our itineraries leaving enough time for you to acclimatize before heading to the high altitude areas. 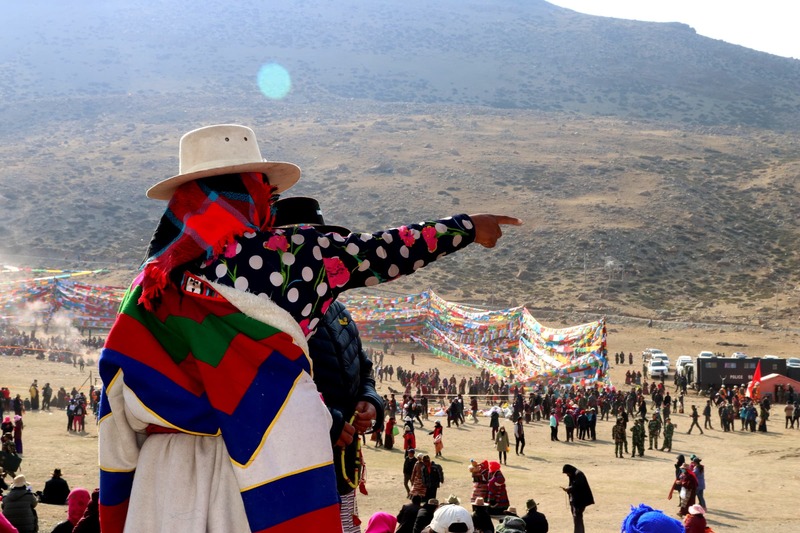 Second, all our guides are trained to recognize the altitude sickness and assist you. We always have oxygen canisters in case you need it. In addition, there are some ways for you to speed up the acclimatization process. 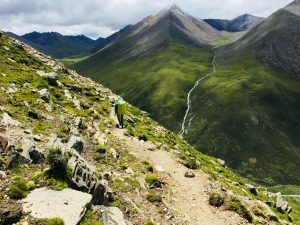 The speed at which you hike will depend on many different factors. We organize all our treks with pack animals, so you don’t need to worry about carrying a heavy backpack. You will be trekking only with a daypack. A lot depends on how well you are prepared for trekking. And the terrain of many of the treks is not flat. We trek on various surfaces, such as rocks, sand, grass, snow, etc. We cross rivers and walk up and down the mountains. The speed varies a lot depending on the terrain, as well as weather conditions. Our trekking itineraries are designed to allow for a comfortable trekking speed. We make stops along the way and set up camps selecting the locations based on how fast we are moving forward. On average, we cover 8-14 km per day. As we usually trek in remote areas, where very few people walk, we see some wildlife along the way. Depending on the trekking route, we can see rodents, groundhogs, meerkats, Tibetan foxes, rabbits, and wild birds. When preparing for your trekking trip, consider a few small things you can do to keep our impact the on the environment at a minimum.